theMCGuiRE review takes a look at Cryptid a brand new one from Osprey Games. This game is for the analytic at heart as you review all the data reveled for each turn to guess where the Cryptid may or may not be! This is a great family and friends title that will be sure to gain interest and people wanting to play again! theMCGuiRE review takes a look at MacGyver The Escape Room Game from Pressman! In this title you will be offered 5 full 1 hour missions to take on as MacGyver - trying to escape the impossible. Use your tools to your advantage, sharpen your wits and get ready for a heavy adventure as you become MAC! 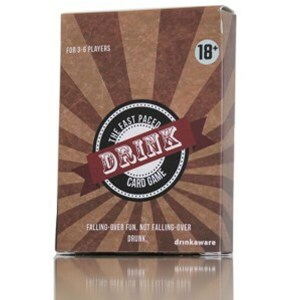 The aim of the game is collect a hand of cards with the same drink on them. It’s pretty much happy families for the party generation. If you look around online you will be inundated with hundreds of different games to play with your friends to get the ball rolling on a night out (or in), the beauty of this game it is quite literally a deck of cards which means it is very easily transported and a very fast set up and clear away time, this makes it perfect to play round a table either at home or in a pub. The aim of the game is to reduce your opponent down from 30 life to Zero. You do this by summoning new creatures to you army as well as learning new spells to cast instant attacks. You can also cast Auras (buffs) and Curses (De-buffs) to help you win the battle. The part I enjoyed about Dice Summoners is the fact both players start with the same cards & dice, but each turn you roll your starting dice and build your army from the card pool in the centre, that means both players have the same cards to play with therefor the game starts on an even playing field, how the game goes from there on in is completely up to you. 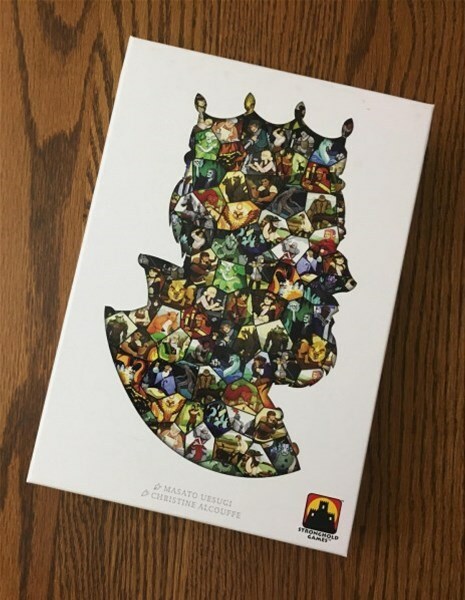 The goal in Paper Tales is to write your own kingdom’s legends by employing citizens, soldiers and fantastical creatures whenever you can find them. These denizens will work hard for you to build and defend your kingdom…at least for a little while. You see age takes its toll on your loyal subjects, but not before they pave the way for new generations. You know. The Circle of Life. To achieve legendary status you will be drafting cards and managing them to acquire resources and build your domain’s tableau. 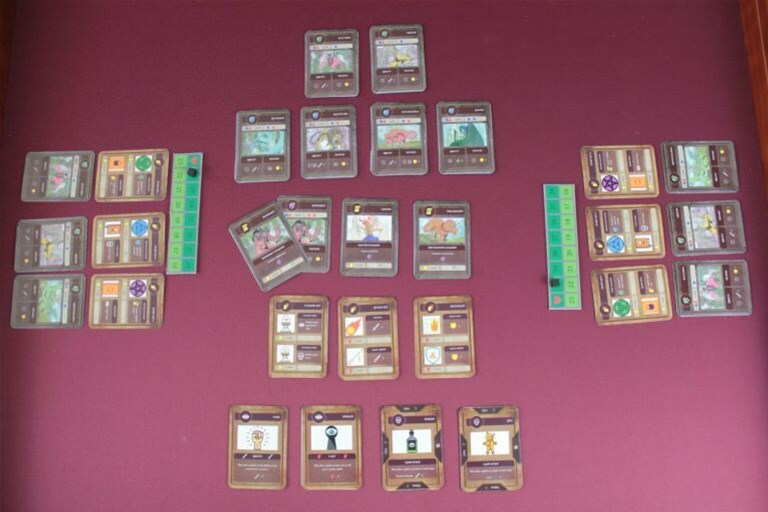 Paper Tales lasts four rounds, which are structured into six simultaneous stages.